It is hard not to notice the Baobab tree. It is unlike any other tree on the planet, with its over-sized trunks and claw-like branches. 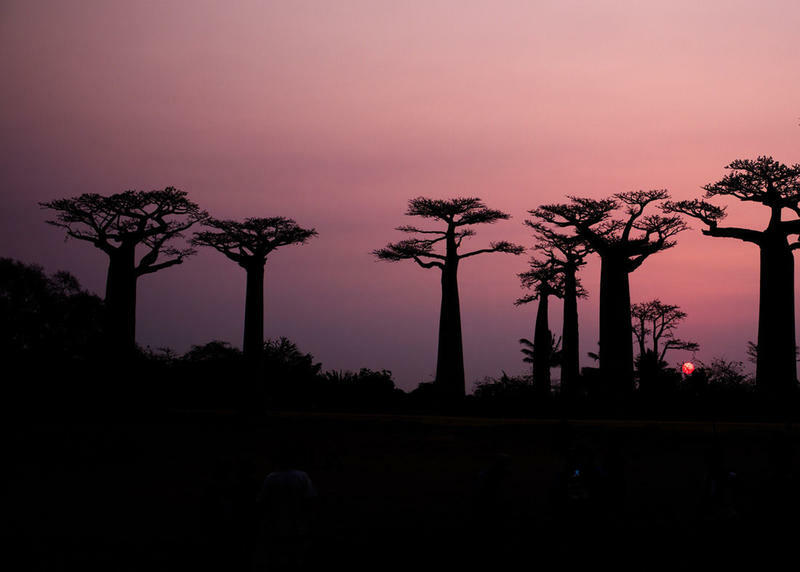 It should come as no surprise that the odd-looking tree is native to Madagascar. After all, the island is home to weird creatures, like the lemur and the indri. The Baobab tree is as useful as it is unique. Take a look at these fascinating facts about the Baobab tree and you’ll find out why the native cultures refer to it as the “Tree of Life”. 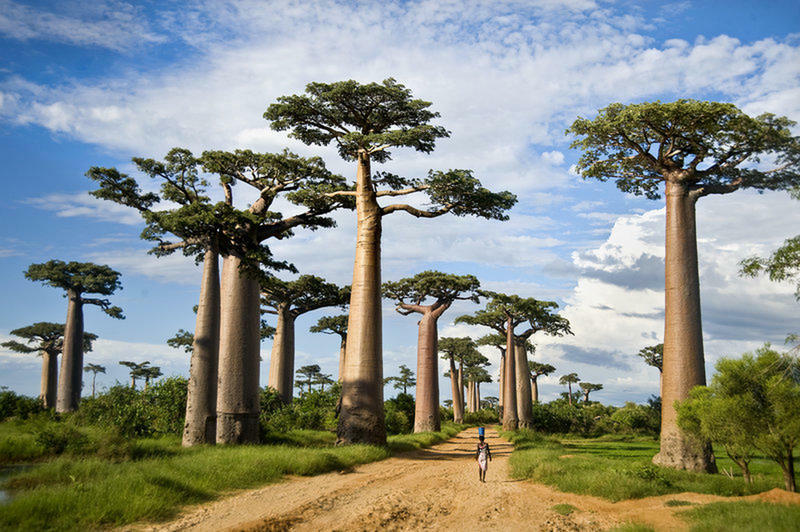 There are actually nine different species of the Baobab tree and only six of them are native to Madagascar. One species of the Baobab grows in Australia and two others can be found on the Arabian Peninsula and in Africa. During Colonial times, sailors attempted to propagate the tree in the Caribbean, with little success. The tree grows best in hot, dry areas with low rainfall...definitely not the growing conditions one finds in the Caribbean. The native people of Africa and Madagascar have long referred to the Baobab tree as the “tree of life” because it offers so much to humans…food, shelter, water and clothing. 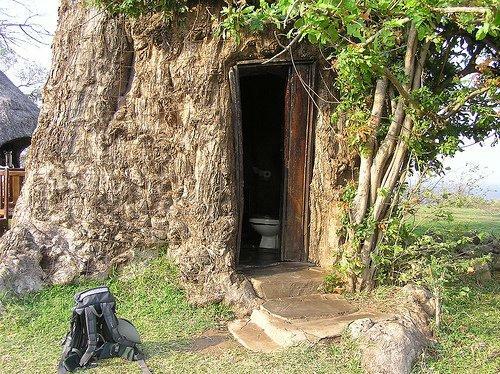 This Baobab tree has been made into an outhouse for hikers. The trunk of the Baobab tree is so large compared to other types of trees and typically achieve diameters for between 25 and 36 feet. The largest known Baobab tree trunk was 47 feet in circumference. As the tree ages, the trunks hollow out, creating spaces for animals and humans alike. 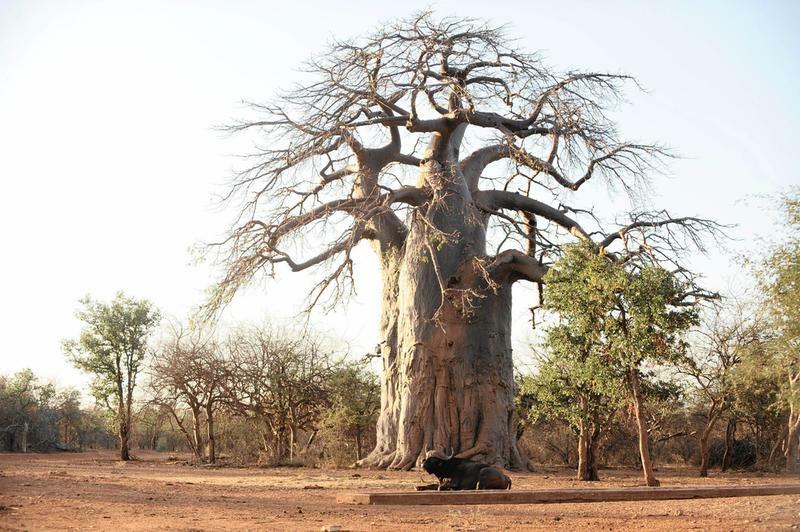 Baobab trunks have been hollowed out to make jail cells, bush pubs and even post offices. Sadly, a cookie manufacturer has not yet set up a factory in a Baobab tree trunk. 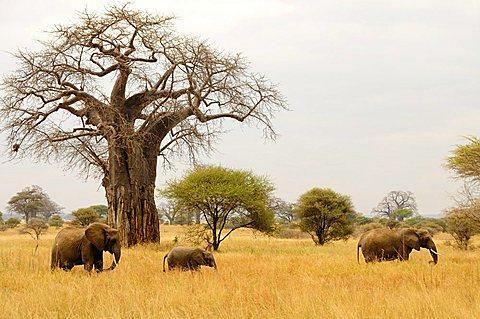 Believe it or not, but the elephant is one of the biggest threats to Baobab trees. That is because the large trunk of the Baobab tree is used to store water, an adaptation to its dry climate. In fact, a single tree can store up to 32,000 gallons of water. In times of drought, humans can tap into the Baobab tree to extract the water. Elephants know this, too. During the dry season, herds of elephants often topple the trees looking for water. 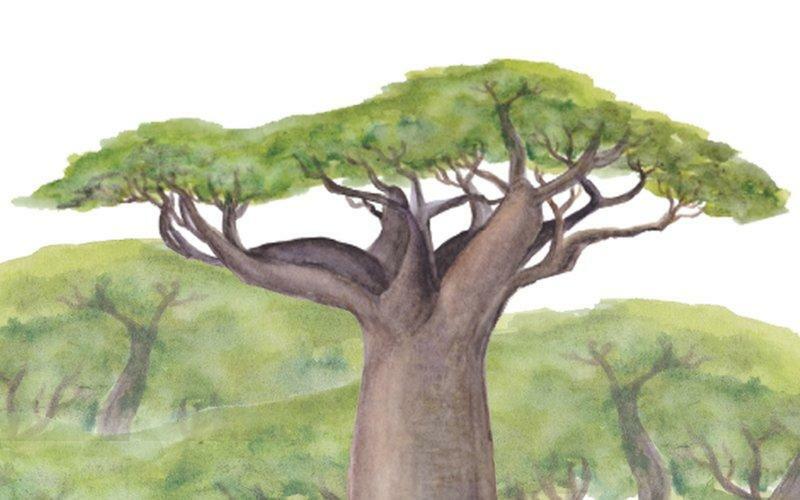 Elephants aren’t the only threat to the Baobab tree. Many trees die each year due to lightning strikes and black fungus. The native people living near Baobab trees quickly discovered that the strange, cork-like bark of the tree is soft and fibrous. The fibers can be woven into cloth or fashioned into a strong rope. As an added bonus, the tree bark is fire resistant and so the clothing made from it also provides some protection from fire. Cream of Tartar Comes for Baobab Trees? The fruit of the Baobab tree is a large pod that is called “monkey bread” or “cream of tartar fruit”. Cream of tartar, a potassium/salt powder used in the baking process, was once derived from the fruit of the Baobab tree by making a powder from the seeds in the tree’s pods. 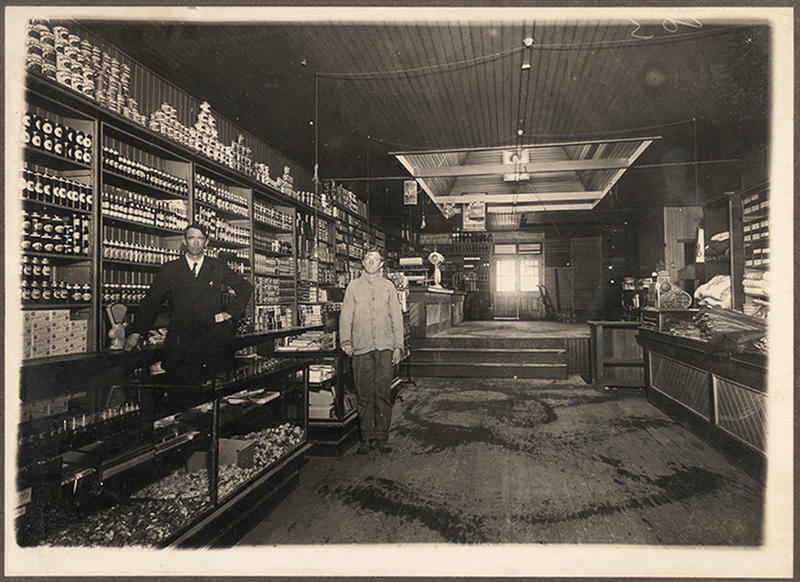 Today, however, cream of tartar is made as a by-product of the wine-making industry. The Baobab tree fruit is described as having an acidic flavor that is reminiscent of pear, vanilla and grapefruit. Baobab trees don’t have growth rings so dating them can only be done through radiocarbon dating. Many of the Baobab trees growing today are well over a thousand years old. There is one Baobab tree in South Africa that is closer to six thousand years old. A tree locally known as ‘Grootboom’ recently toppled over in Namibia. It is believed that this tree was nearly 1,500 years old. Bat populations are responsible for the pollination of the Baobab trees. The bats swarm the trees at night when the blossoms are in bloom, during the Southern Hemisphere’s summer months of October, November, and December. The flowers of the Baobab tree are large and white. They open in the late afternoon and remain open all night, awaiting the bats. At first, the blossoms are sweet smelling, but as they age, they produce the smell of rotting meat. 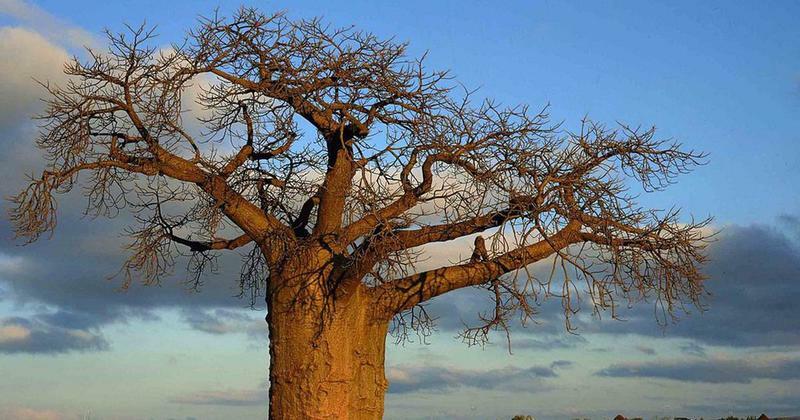 Humans and animals alike rely on the Baobab tree. 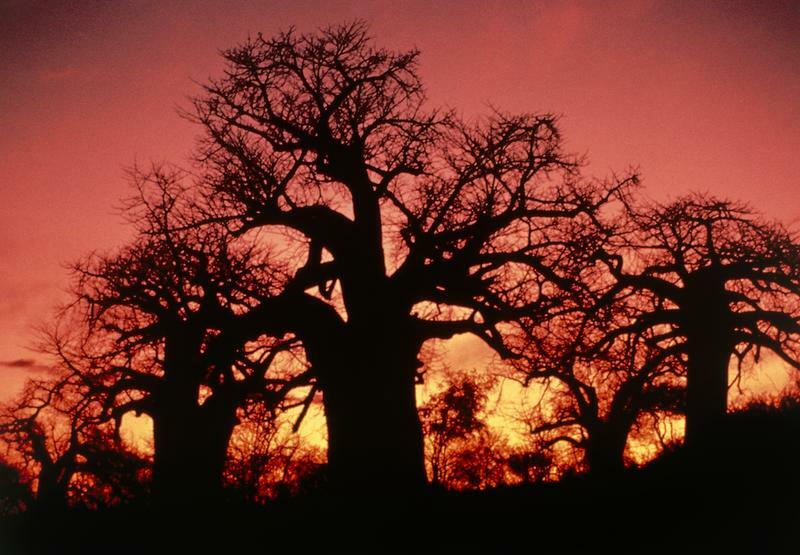 In the animal world, the Baobab tree’s pods are a favorite food of baboons and warthogs. Birds nest in its branches and countless other animals make their homes or nests in hollows in the tree’s enormous trunks. Humans also use the tree trunk for shelter. They utilize the leaves and fruit for food, medicine, beer and religious purposes and weave the bark into cloth. 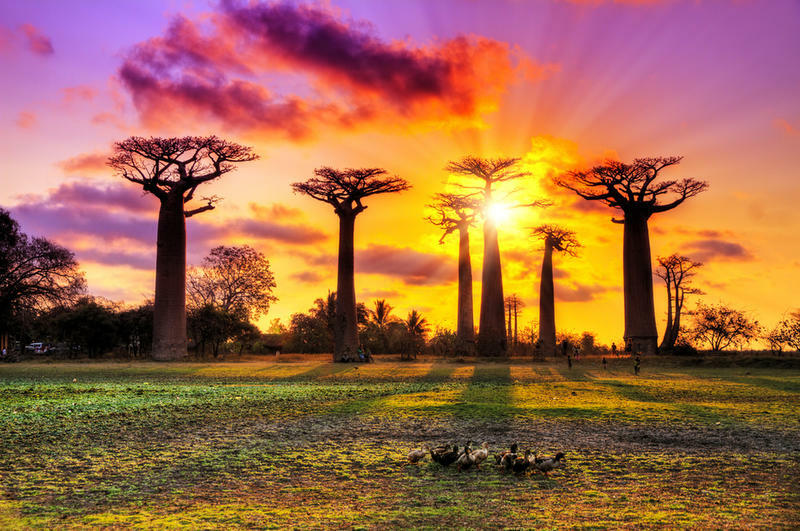 While the rest of the world marvels at the unique and strange silhouette of the Baobab trees, the people of Madagascar and beyond are attracted to the usefulness of the odd-looking tree.